Product prices and availability are accurate as of 2019-04-16 05:13:35 UTC and are subject to change. Any price and availability information displayed on http://www.amazon.com/ at the time of purchase will apply to the purchase of this product. Take the karaoke party on the go with the Singing Machine portable karaoke machine (model SML-383), which features a built-in disco light system to enhance the party atmosphere wherever you roam. 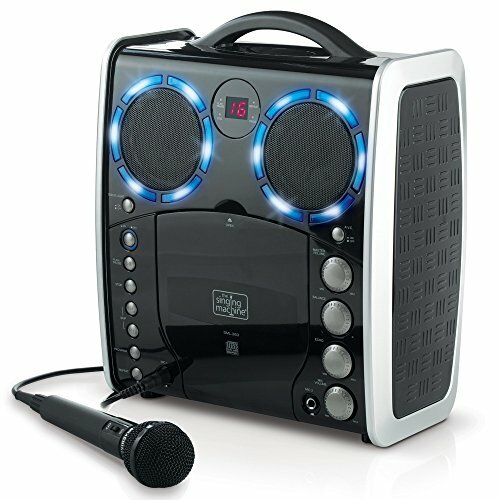 The SML-383 features a vertical loading CDG player, two microphone jacks with separate volume controls (great for singing duets), and a video output for simple connection to a TV or HDTV (for displaying lyrics). And the disco light mode lets you enjoy several flashing effects. 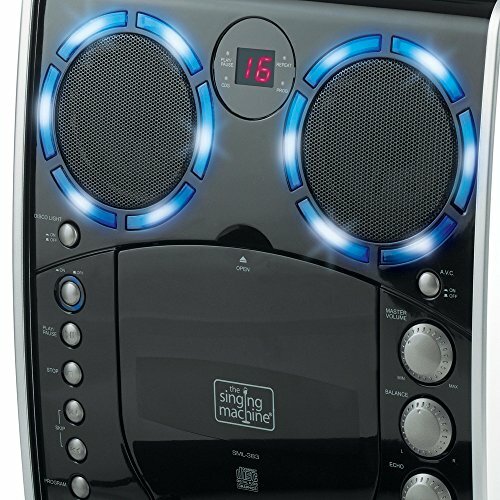 Other features include built-in speakers, balance and echo control, and auto voice control. 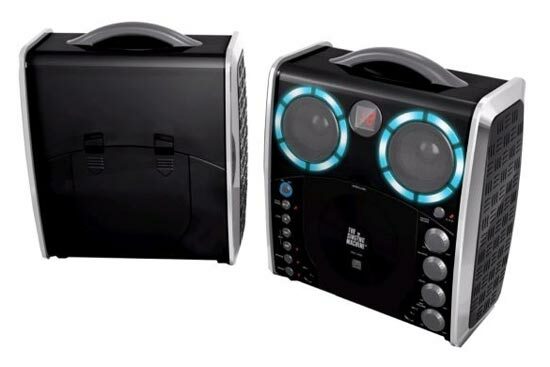 It comes with a free CDG music sampler and one microphone to get you started. CDG: An acronym for Compact Disc plus Graphics, this is a regular CD with information stored on a data track simultaneous to music. In laymen's terms, CDG has a video output for simple graphics (not full motion video). 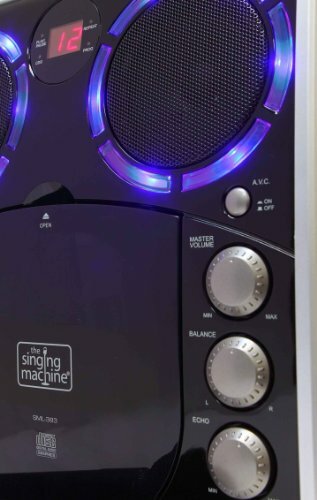 In the case of karaoke, the graphics function is used to store song lyrics, and display the lyrics in synch with the music. In most cases, CDG software displays lyrics, which change color as they are to be sung. A regular television is all that is required to display CDG lyrics. 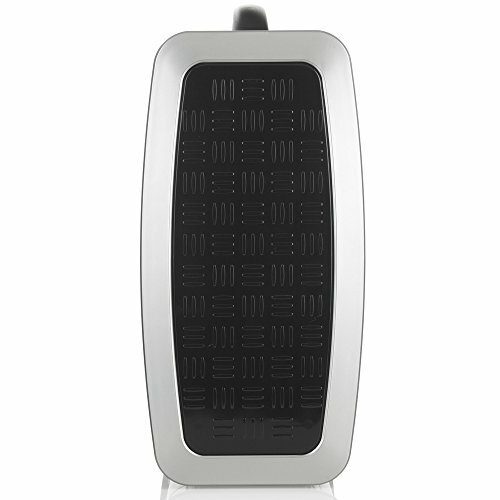 Echo: Produced by creating minor controlled feedback in the singer's voice, echo adds depth and resonance. The echo function does not affect the music. Auto Voice Control (AVC): This useful function is used primarily during practice sessions while a singer is learning a song. 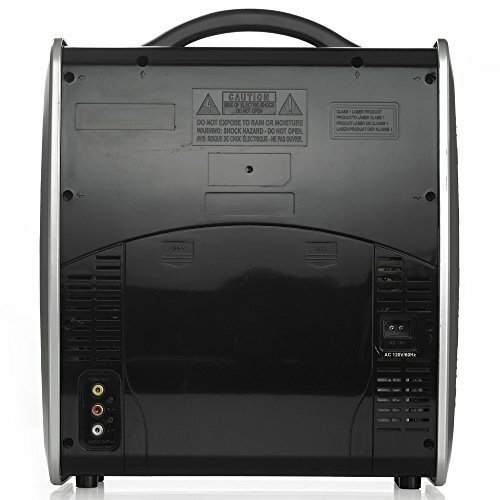 Please note that the AVC function only works with multiplex recordings and not with standard audio recordings. 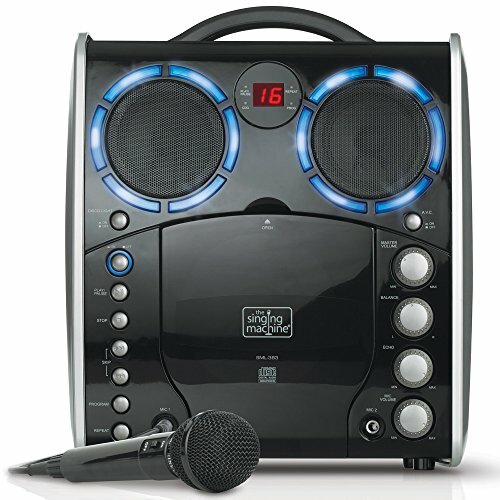 Multiplex: A Multiplex allows you to separate the vocals and music by using the balance control on your Singing Machine Karaoke System.